The board of trustees approved transferring the Department of Communication from the College of Arts and Science to the College of Interdisciplinary Studies. Provost Lori Bruce presented the transfer request at the March 21 board meeting. Transferring the Department of Communication allows the program to expand, accommodating for communication’s interdisciplinary nature, Bruce said. 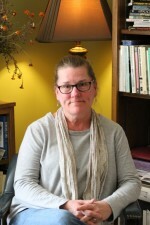 Dr. Brenda Wilson is a professor and the interim chair for the Department of Communication. The faculty proposed the move to the university administration in fall 2017. Final approval of the transfer was delayed because of the search for a new provost last year, Wilson said. The faculty currently teach communication studies courses for the College of Interdisciplinary Studies, Wilson said. “This move will allow more efficient collaboration with that college, especially in expanding communication course offerings across campus. We have plans to expand some of the journalism offerings too with the support of our new college,” Wilson said. This change does not affect the curriculum or the current programs, and the degree remains a bachelor of science in communication with a concentration in either communication studies or journalism, Wilson said.